Meet this "super" NE Minneapolis family! Meet Tony, Emily, Frank and Louie! A free spirited, fun-loving family from NE Minneapolis. I met up with them one serene Sunday morning at Boom Island Park in Minneapolis. This was my second year taking their family photos and it was fun to see how much the boys had grown! They have been enjoying their summer with lots of fun activities! Frank's favorite spot is the Minnesota Zoo. He adores visiting the animals. Louie is learning to bike so he enjoys tooling around their NE Minneapolis neighborhood and biking to the park for a picnic. The family also has been spending a lot of time in their backyard, the backyards of their friends and family, visiting Grammy and other relatives with trips to the lake and the Jersey shore. When I met up with the family, they were looking forward to wrapping up their summer with a trip to Otter Tail County. Nearly 50 members of Tony's extended family had planned to be there. The family has been taking this annual family vacation for more than 30 years! Meet Caroline! She is a soon-to-be senior at Benilde St. Margaret's. A week or so ago, I met up with Caroline and her mom at a local park. We were blessed with lovely weather and a gorgeous sunset. Caroline was so sweet and full of smiles - she made my job easy! During our shoot we caught a few photos of a little dragonfly following Caroline as she ran through the fields. SO cute, right? Caroline loves being a part of the theater! For her senior year she plans on participating in both of her school's theater productions and maybe also acting as the Manager for the girl's basketball team. To date, she has played Woodstock, a quilt maker, a crow, King Louie, a lady in waiting, an orphan, a waitress, a dead bride, Lorina, and a rose! What a wide array of roles! She has been acting since she was 5 years old. Wishing you the best, Caroline! Thank you for asking me to take your senior photos. Break a leg! Meet Theresa & Jon. A lovely couple from Minneapolis. I had the pleasure of shooting their wedding in June. Jon is an investigator for the attorney general. Theresa is an Occupational Therapist who does home health care. Their favorite typical date night is getting food from Chimbrazo (an Ecuadorian restaurant in Northeast Minneapolis) and watching a movie. They also love Roat Osha and Northeast breweries. They got married on a lovely Friday afternoon in late June. The ceremony took place at the beautiful St Felix Church in Wabasha, Minnesota. After the ceremony, the entire wedding party jumped into a chartered bus and made their way through rural Minnesota to the reception. They made a little pit stop along the way to take a few photos in a pretty field of flowers. Soon after they arrived at the reception spot: The Hidden Meadow and Barn in Pepin, Wisconsin. It was such a perfect spot to celebrate. A wonderful combination of natural outdoor scenery & chic high-style details like chandeliers and twinkle lights. The flower girls and ring bearer loved exploring the grounds and playing with the resident kitty. A double rainbow appeared after dinner! After the wedding, the couple honeymooned in Switzerland and Italy. They spent a few nights in Lucerne. Then they took the train down to Lake Como, Italy where they did a lot of sightseeing and enjoyed a lot of pasta! Congratulations Jon & Theresa! What a beautiful evening! This is Cecilia. She just turned one a few weeks ago! She lives very close to the Rose Garden on Lake Harriet so that is where we did this shoot! It was a perfect time of year to shoot there. The grounds were filled with flowers! It was also a great time because Cece just is getting her teeth! Time to show off that new smile! CeCe has been doing a lot of camping this summer! In a few weeks they're going on a big camping trip with lots of friends. Her family hopes to someday take a big tour of Canada too. Thanks so much for asking me to do your photoshoot! It was an honor. Happy 1st birthday Cece! Last week I met up with Kate and her mom Laura in downtown Minneapolis near the Stone Arch Bridge. Her favorite color is purple. She loves Halo Top Ice Cream (which I had never heard of! Sounds delicious!) And she roots for the Vikings. When Kate was 10 years old - her grandparents told her they'd take her on a trip of her choice. She chose Greece! It is her favorite trip she's ever taken! However - she has big plans to go to Idaho this summer for camp.. so maybe she has a new favorite trip in her near future! One more fun fact about Kate: She is obsessed with her puppy, Teddy! He is named partly after Teddy Bridgewater (from her family's favorite team) and Ted Mosby (from the family favorite show How I Met Your Mother). I think next time we will need to bring Teddy to our shoot too! We stopped quickly on the way home a few weeks ago so I could snap a couple photos of my boys! They're not usually dressed up! Arlo just loved his reindeer sweater. (I got his outfit on sale at Janie & Jack in December.) I am hoping it fits next year as well! This will certainly go down as one of my favorite shoots of the year. We were blessed with fresh snow just before our early morning shoot. And I just love the way the family was dressed. Thanks to Carolyn's beautiful styling - I have been obsessing with yellow and wintery whites all season! I love the way the yellow pops against the snow! Such cute boys! Thanks so much for asking me to take your family photos Carolyn! It was so great to meet you and your beautiful family! Learn about Family Photoshoot Sessions here. Gosh I have known Jen for sooooo long! We grew up in the same town and our dads worked together. My dad would come home chuckling about funny stories with her dad. They were good friends. Now Jen and I both live in Minnesota. And she is happily married to a guy named Chris - whom my husband went to high school with! Small world, right? Well Chris and Jen have four beautiful kids. Each with their own style and personality. Going in to the shoot, we hoped to get a good shot of each child, some candids and a nice family photo. I think we succeeded! We met on a Sunday afternoon and spent almost two hours running through prairies, admiring bright yellow flowers and walking on a trail through some tall pines. The kids did an outfit change halfway through and the three girls dresses in the most wonderful whimsical outfits. Jen represents the brand. It is called Matilda Jane. It gave the girls new life. They took off running into the prairie in their brightly colored outfits. So cute! For the most part everyone had a great time! They did such a wonderful job. They were so patient with me! Jen - it was great fun to see you again! Thanks so much for asking me to take your family's photos! Hello! I have so many photos from fall sessions to share after a very busy season! This family was so lovely to work with. We had a lot of fun shooting alongside Lake Calhoun this fall. They also asked me to do a special edit of a moon in their photo in remembrance of their sweet baby Noah who had passed away. Much of the shooting was planned around this special shot. I wanted to make sure we were near a wide open expanse at just the right time at sunset. We were rewarded with a beautiful sky that night. I can't help but laugh when I look at this family photo. It is definitely in the top-5 of my favorite family photos I've taken. I had no idea there was a duck walking into our photo session! I mean - there were ducks everywhere but I had no idea that this particular duck decided to join us! What a surprise when I opened up the photos to edit them! We managed to capture some less-silly moments as well. And I definitely had a lot of fun with Lindsey and her family. She (and her family) are the type of people who you meet and you feel like you've known for a long time! Comfortable and maybe even a little silly! Thanks so much for asking me to do your photos! It was wonderful to meet you!! Nothing keeps you warm on a very chilly early morning Saturday like a session with the gregarious Dooleys. They rolled in to the location in their typical adorable + fashionable outfits and immediately set to work making us laugh. Dooley family - it was a pleasure seeing you - and shooting you - on that cool morning! Hope to see you soon! Thanks again for asking me to take your family photos! Hello! 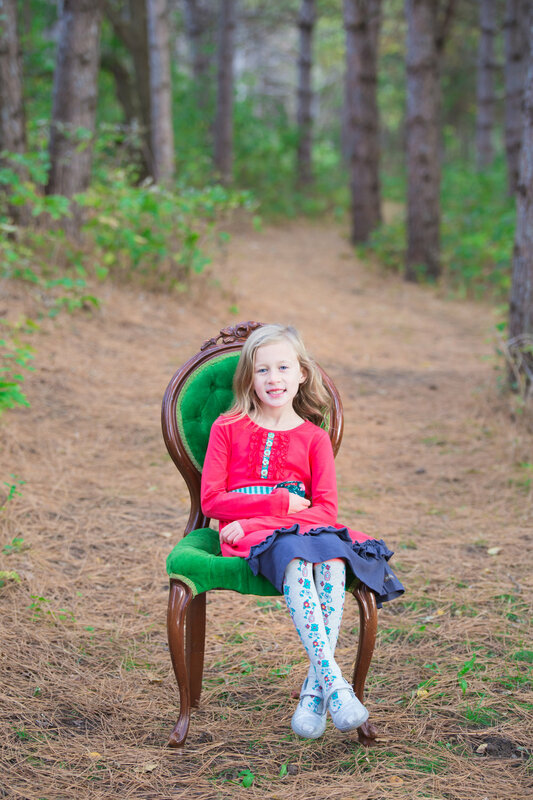 I am quite busy this time of year with fall family photos! This week I have 8 sessions booked! And since families aren't usually together on the week days, all of the sessions are in the evenings or weekends!! On Tuesday night I met up with this fabulously fun family at Theodore Wirth Park. The light was perfect and there were so many colors around us! The entire family has beautiful blue eyes!! This is one of my favorites. Those kids are always up to something! Ha! Thanks Scherer Family for spending your Tuesday night with me! It was great fun to see you again! Oh if only I could be as fierce as a two year old! This little beauty is such a ham! She told us exactly what she wanted and where she wanted it! At this point I believe she was saying "no, no, no!!" Makes me earnestly miss those two-year-old days! Just adorable. You can tell the O'Keefe family is very joyful. We had a lot of laughs during our session! Katherine is a lucky little girl to have such a great family. Thank you so much for asking me to do your photos! I had a wonderful time! I had a wonderful time last weekend meeting up with this sweet family. They chose to shoot in downtown Minneapolis and it turned out to be great fun! An urban themed shoot! This was the first time we met and we found out we had a lot in common. I really enjoyed the time I spent with them! Lots of laughs! I am not saying too much or sharing any of their family portraits because we don't want to ruin their holiday card surprise... but I will say that I was really honored to do their photos!! Thank you! Von is a little ball of sunshine who recently reached out and asked me to take some very important photos for her. She told me she wanted to capture herself with her dear parents. She especially wanted some portraits that captured every detail of her parents' beautiful faces. Von also brought her adorable dogs Mac and Moose (pictured here). Her parents were just as lovely as Von had described. Her dad loved to crack little jokes and they were very patient with me. They kept thanking me even though I asked them to repeat the same scenes several times. Von, you have a beautiful family! Thanks so very much for asking me to take your photos - it was great to meet you!! All the way from Iowa! Gosh I still cant believe that my sweet friend Marissa drove all the way up from Iowa with her son Payton so that I could do his Senior Photos. I am so touched. I hope that she thinks it was worth it! I can tell you that I was definitely moved when I was taking and editing the photos. Man, time flies! I remember when he was little. Anyhow, they made the 4 hour drive up to see me (poor Marissa had to drive back 4 hours afterwards!) and we were rewarded with a beautiful warm summer evening. Thanks so much Marissa for making the trip!! It was soooo good to see you!! And thank you for trusting me to take Payton's photos. Good luck this year Payton!! I had great fun meeting this family! I first met Renae when she was the designer for the 2015 Minneapolis Showcase home and I had some art displayed there. We got along great & I loved what she did with the home. Since then, she has helped me with some design changes in my home (perhaps I'll do a blog post on my dining room someday!) and I take her family photos! They were all joyous and high spirited and had such lovely unique personalities! We did individuals of each child, just boys, just girls, the entire family and just the parents - that's a lot of time and a lot of photos! They would sneak off and play and laugh when it was not their turn. Such high spirits! It was great fun to meet you Libby, Andrew, Charlotte & Will! Thank you! You have a beautiful family Renae & BJ!! A few weeks ago I posted maternity photos of my dear friend Adrienne. We did our shoot in a yoga studio because Adrienne has always been active and an instructor in yoga, pilates, barre and dance. Her daughter Hazel accompanied her. You can see those photos here. Well, she had a beautiful baby boy! I stopped over at her house a few weeks after Henry was born to do his newborn shoot. He was just the sweetest. Teeny fingers. Teeny toes. Those silly newborn expressions and noises! Adorable! I definitely had a few moments of tears in my eyes. It really was an honor to meet Henry and capture these special moments that fly by! Thank you & congrats Adrienne! OMG She is having a baby! Such an honor to take photos of someone I love & to see her just on the brink of having her second baby. I am so freaking excited for her! My baby is having a baby! This is my dear friend Adrienne. She is a Pilates and Yoga instructor and a business owner. And one tough mama. Soon she will be welcoming her second child! Can't wait to meet your little one Adrienne! Wishing you an easy delivery. Congrats to your husband Matthew and sweet older sister Hazel as well. And thank you for asking me to take your photos! Anytime my friend! Even though it was an official photo shoot - she let them run around and play, get dirty, be free and natural. She was so easygoing... and effortlessly pretty! Her two sweet boys had the most beautiful eyes. Emily did too! I also felt a bit of a kinship with Emily - we were both about to set off for long road trips with two little boys after the shoot. Hope your trip went well Emily!! Thanks so much for asking me to do your photos. It was wonderful to meet you!